Check out this map that shows that it is better to buy than rent right now due to the current interest rate in Missouri. Thank you to our favorite lender, Mike Mudry for the information! These may be the cutest Easter cookies we’ve ever seen! Where will you be for Easter? Picture this: you in the home of your dreams, switching out throw pillows for spring and Easter colors, dying Easter eggs in your new spacious kitchen. Bringing THESE COOKIES to your large backyard to share with loved ones. WE CAN HELP! Call us today. Sunshine Realty does not charge buyers a fee to help them find their dream home! Give us a call today to find out how we can help you with your home buying and selling dreams at 314-313-1773. Happy Easter everyone and we hope to hear from you soon! We know that you know how much we love organization tips, especially if they help you de-clutter or show your home a little cleaner. 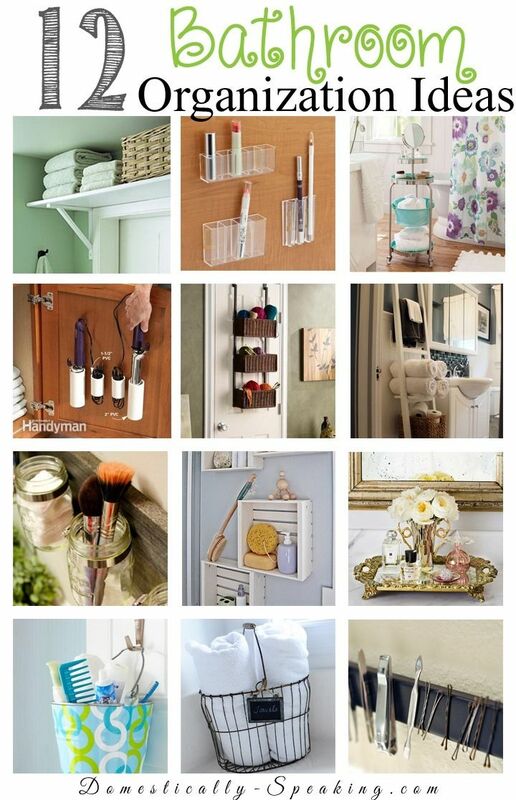 Here are some organization tips from Domestically-Speaking.com for the one or more baths you have in your lovely home.